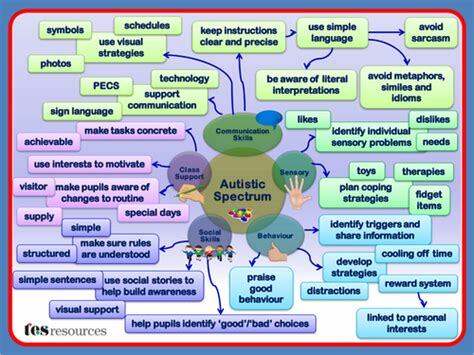 Autism spectrum disorder (ASD) is a condition that affects social interaction, communication, interests and behaviour. It includes Asperger syndrome and childhood autism. Some people also use the term autism spectrum condition or ‘neurodiverse’ (as opposed to people without autism being ‘neurotypical’). The main features of ASD typically start to develop in childhood, although the impact of these may not be apparent until there is a significant change in the person’s life, such as a change of school. In the UK, it's estimated that about one in every 100 people has ASD. There is no 'cure' for ASD, but a wide range of treatments – including education and behaviour support – can help people with the condition. Children, young people and adults with ASD are often also affected by other mental health conditions such as attention deficit hyperactivity disorder (ADHD), anxiety or depression. About half of those with ASD also have varying levels of learning difficulties. However, with appropriate support many people can be helped to become independent. Children with more severe symptoms and learning difficulties are likely to need more additional care and assistance to live independently as adults, although there is no reason why they and their families cannot enjoy a good quality of life. 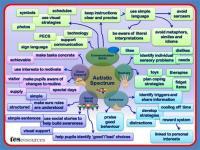 The features of ASD that often develop in pre-school children are explained below. preferring to communicate using single words, despite being able to speak in sentences. having a strong like or dislike of certain foods, based on the texture or colour of the food as much as the taste. If you notice your child might be showing signs of an ASD, contact your GP or health visitor. Your GP will ask about your child’s behaviour and if your GP thinks your child may have an ASD, he or she may refer you to a specialist or child development centre. Your child may have more tests, interviews and examinations. There are a number of different assessments which can be used to assess your child’s behaviour and how they interact with other people. seeming to talk ‘at’ people, rather than sharing a two-way conversation. You and your child may see a number of different people including a paediatrician, child psychiatrist, speech therapist, occupational therapist and psychologist. This can mean having several appointments over several weeks. After the assessments you may get a detailed diagnosis report, which should state clearly what the diagnosis is. Making adjustments to the physical environment such as the lighting, amount of noise, colour of walls and personal space available. Alternative communications - this involves teaching your child to communicate using other types of communication apart from speech. They include sign language and Picture Exchange Communication System (PECS), where your child is taught to communicate with picture cards. Behaviour therapies. There is a wide range of these programmes, which aim to encourage appropriate behaviour and to discourage inappropriate behaviour. They include Applied Behaviour Analysis (ABA) which improves skills by rewarding good behaviour. Therapies that help with specific problems, for example speech and language therapy, physiotherapy to improve movement and co-ordination, and occupational therapy to help develop daily living skills. It’s important to remember that one therapy may work for one child but not for another, as all children have different needs and abilities. There are hundreds of different interventions available and making a choice about what is best for your child can be difficult. Talk to your specialist for information about the different approaches to managing autism. Medicines can’t treat ASDs as such, but they can help to ease some of the symptoms. Your child’s specialist may prescribe a medicine for him or her to take to reduce symptoms such as agitation, aggression, hyperactive behaviour or sleep problems. Always ask your specialist, GP or pharmacist for advice and read the patient information leaflet that comes with your child’s medicine.